Your personal travel guide for Jasper, Alberta – heart of the Canadian Rockies! The Jasper App allows you to explore the city like a local. It’s also free and easy to use! 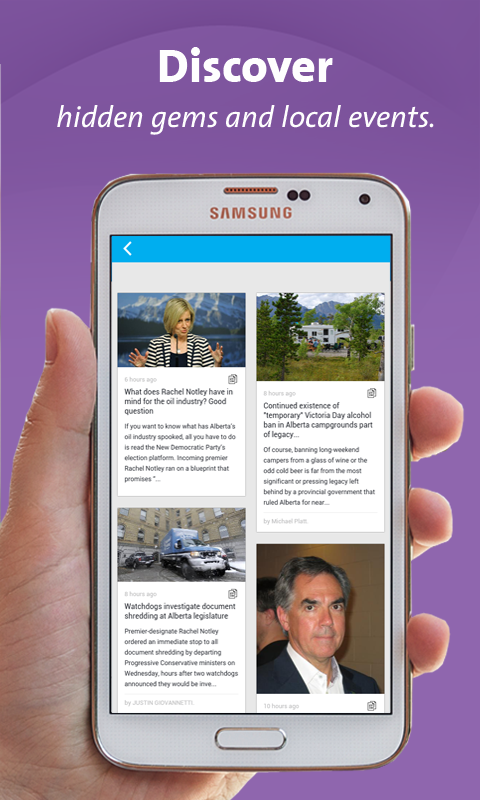 Discover what’s nearby, connect with great local businesses, claim exclusive special offers, plan your trip with local weather forecasts and stay connected with what’s happening in Jasper, Alberta. Discover Jasper in the palm of your hand! 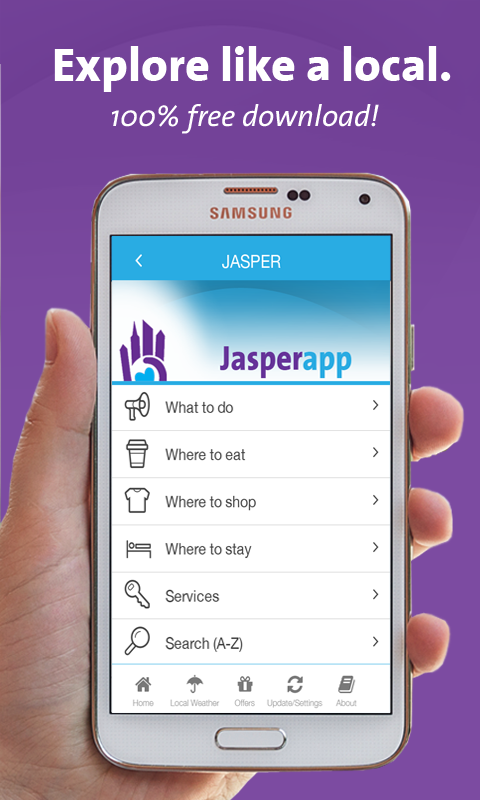 The Jasper App isn’t just a business directory. It is your pocket travel and local business guide, giving you lists and locations of the best Jasper restaurants, stores, local attractions and much more. Need to find fishing gear in a hurry? The Jasper App allows you to view all the outdoor stores listed, showing you the ones near by first. You can read more about the business, view photos, easily access their Facebook pages and Twitter feeds, check out their website, ring to book an appointment and get directions through interactive maps – all through the Jasper App! Browse the local news feed and stay up-to-date with what’s happening in Jasper. Search for Jasper restaurants, shops, services and local attractions. 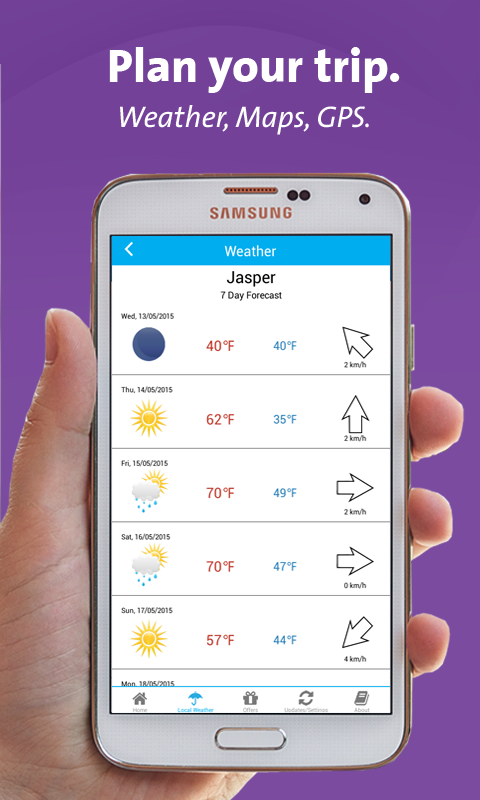 Plan your trip with a 7 day Jasper weather forecast. 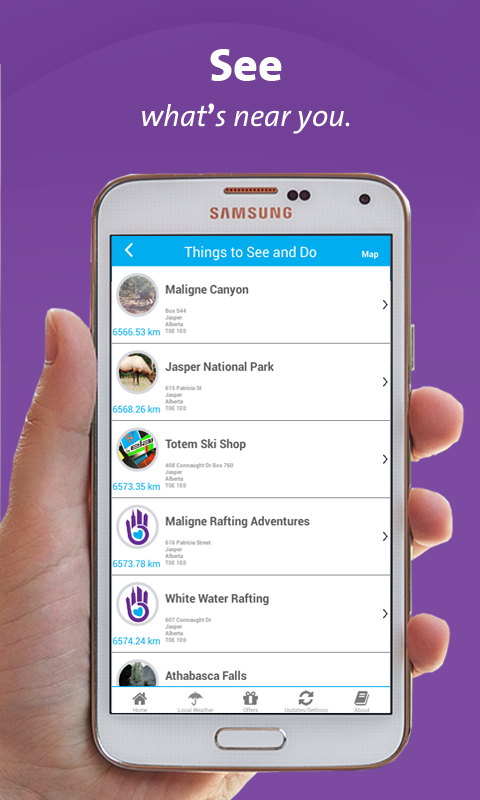 Whether you are traveling through picturesque Jasper National Park or are a local who just wants to stay connected, download the Jasper App travel guide today. Explore what’s on in Jasper. See what’s near you. Uncover hidden gems within Jasper.